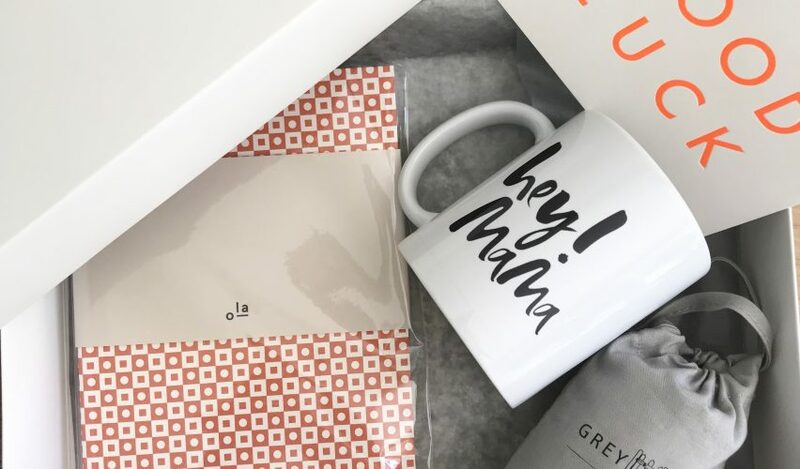 But it also made me think I could offer a gift box to raise a smile in that moment, so i’m super happy to launch our new Back-To-Work Mama Bundle. Perfect for colleagues, partners or parents to treat those mama’s on their big day back at work. I’ve carefully selected a few treats that mamas can enjoy in the office or at home, from some really wonderful independent brands. I can still remember very clearly the moment I set my out of office and logged out of my laptop ahead of my first maternity leave. Of course, the reality of having a baby very soon was starting to kick in, but I was also very conscious that when I next logged on to check my work emails that I would be a working mum! And as much as you can prepare for having a baby, far less advice is offered by way of transition to becoming a working mum. Having returned to work myself after having my son I have also managed many women in the same situation back into my team so here I offer my hints and tips for transition to successful working mum. Do Not Feel Guilty…. about anything. Do not underestimate the incredible role model you are being for your child by going back to work, it can be so important that children see dad and mum working, learning about equality starts at a young age. Little people also have a great knack of making us feel incredibly guilty for leaving them but guaranteed before you have even left your childcare provider they are loving being there. Be Realistic…. I have seen it so many times where women return to the workplace and attempt to pick up where they left off in an attempt to prove they are still ambitious and dedicated to their career. You have nothing to prove so go easy on yourself. Give yourself some time to adjust to your new routines and responsibilities outside of work and don’t over commit yourself in the first few months back at work. Your time will come again, it’s just a case of transitioning back and learning to adjust. Find Support…. Ensure you surround yourself with supportive people. Maybe look for a workplace mentor, someone who has been in the same position as yourself is always a good choice and you can use them to help you to navigate your transition back to work. Also keep an open and honest dialogue with your boss. If you have returned to work on a flexible working basis make sure you communicate how it’s going and working for you. Your friends and family will also be super important at this time and although initially you may feel like you don’t have enough time to spend with them they will totally understand, so again, don’t feel guilty. And finally, Be Kind To Yourself. It can be very easy to forget your own wellbeing so make sure you make time for that cuppa with a colleague or after a long day reward yourself by lighting a candle and have a lovely warm bath. Good luck and remember… you have totally got this working mama.